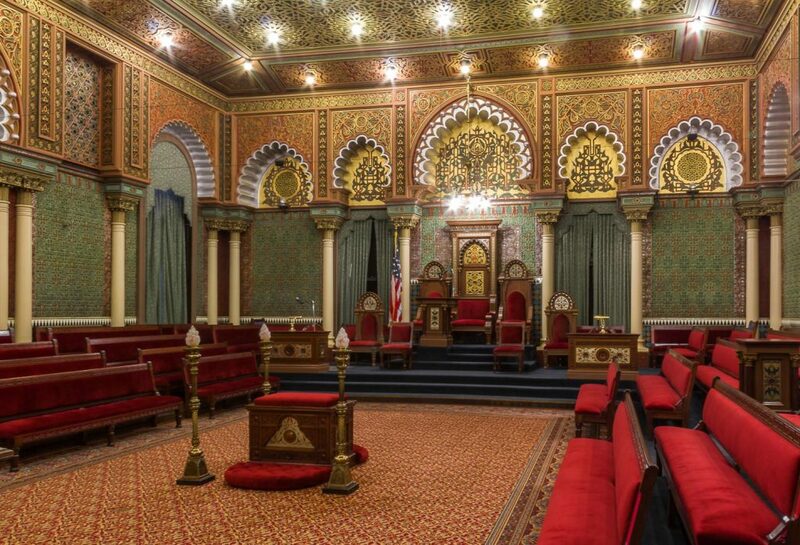 Spend an inspiring afternoon touring the Masonic Temple in downtown Philadelphia. The Temple is a true feast for the eyes, a not-to-be-missed historic stop during your CMG International Summit stay. 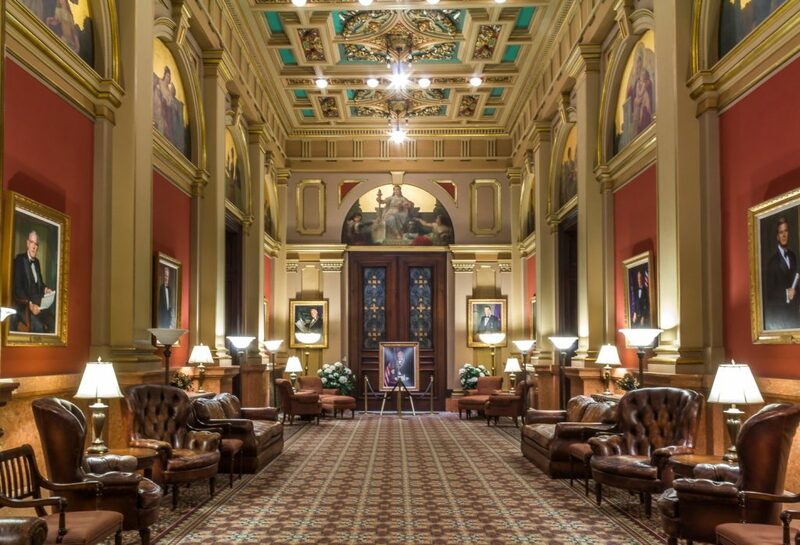 This architectural wonder is listed on the National Register of Historic Places and designated a National Historic Landmark as one of the most elaborate examples of Masonic architecture. Designed by James H. Windrim with a Normandy cathedral-like exterior, construction took five years and was completed in 1873. The interiors were designed by George Herzog, spanning a nearly 20-year process. Each room is decorated in a different historically accurate style featuring ornate wood details, hand carved furniture, paintings, and pilasters. Time: 1:15 pm; Meet in the hotel lobby. This is an OPTIONAL Summit tour and it is limited to the first 50 people. Be sure to RSVP! 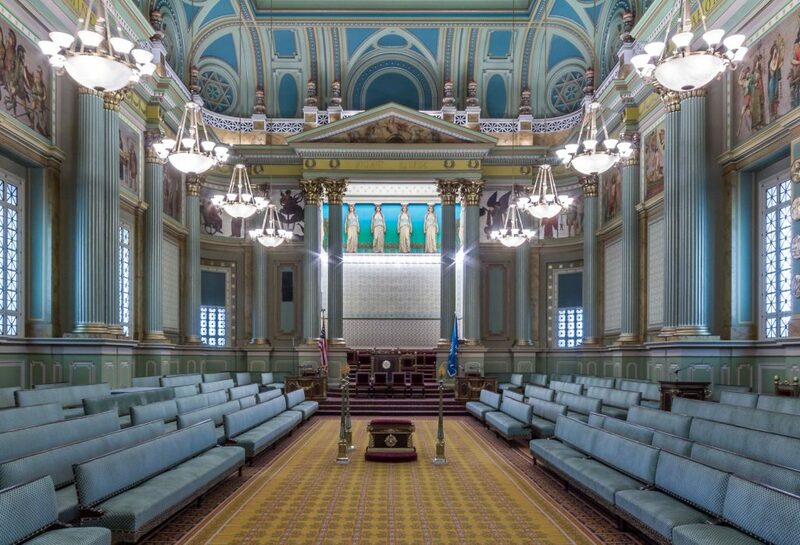 Our tour will depart from the hotel lobby at 1:15 pm, then it is a short walk to the Masonic Temple.